Foam Laminates of Vermont can Pre-Cut your SIPs! Foam Laminates of Vermont can Pre-Cut your SIPs! Our crew is working in the shop this week. They will be pre-cutting roof SIPs for a project in Michigan. This project will have all roof SIPs cut to length. All bevels for eaves, ridges, and valleys will be cut here is well. 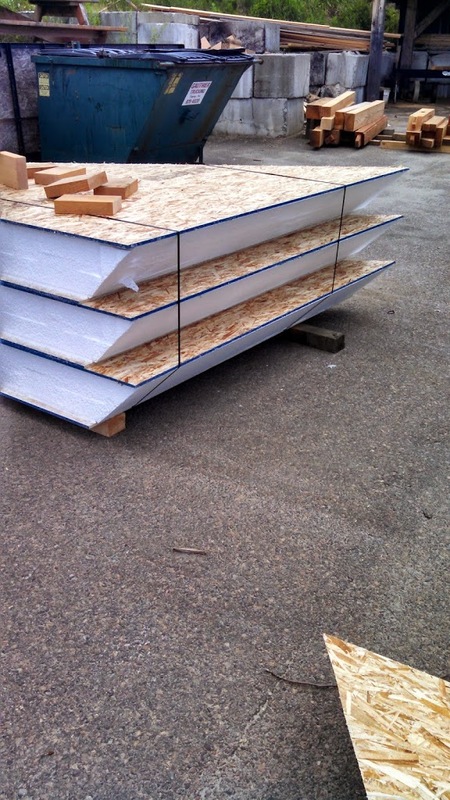 Pre-cutting Structural Insulated Panels reduces onsite waste and onsite labor costs. We will be closed on Friday, January 1st to ring in the new year. We everyone everyone has a great new years eve!